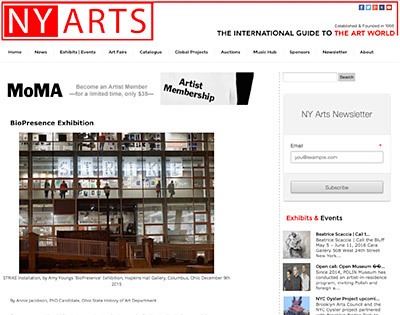 Annie Jacobson wrote a review of the BioPresence exhibition for NY Arts magazine. 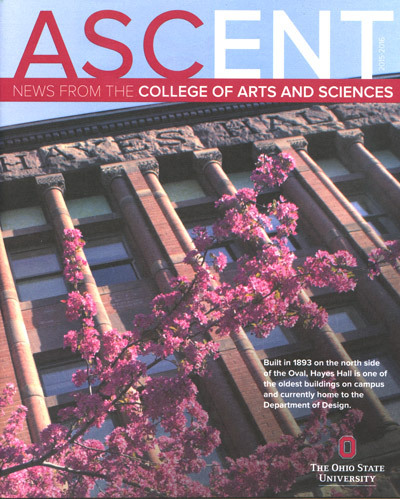 Jim Fischer of the Columbus Alive interviewed artists Jessica Ann and Allison Blair in this preview article about the BioPresence exhibition at Mote Galleries and Hopkins Hall. 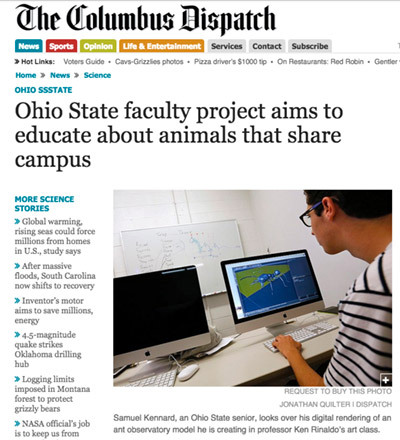 An article in the Science News section of the Columbus Dispatch, by Nolly Dakroury reporting on the project in process and interviewing some of the people involved.